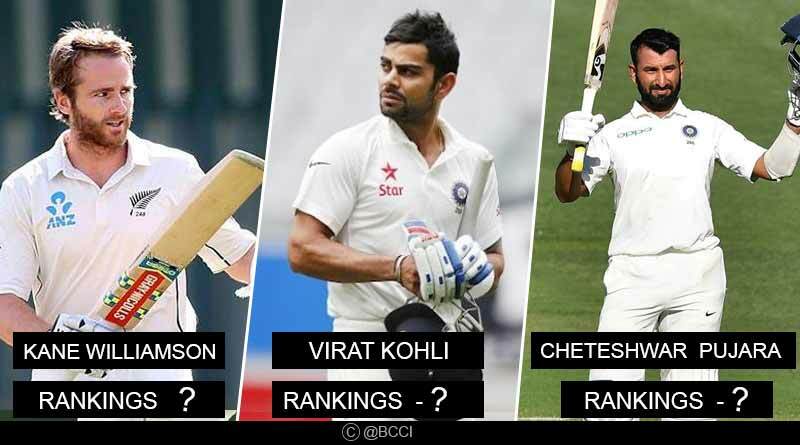 Do you know the latest ICC Test Cricket India Rankings? The 2-1 series win in Australia brought with it just not a record-breaking victory for India, becoming their first ever test series in the country but also saw India’s standout performers in the series reap rich rewards of their outstanding show with the bat and ball in the first ICC test cricket rankings of 2019. For their resounding and stellar performances, Cheteshwar Pujara, Rishabh Pant, JaspritBumrah and RavindraJadeja gained massive strides in the table while Virat Kohli and India consolidated their spot at the helm. The ICC test cricket India rankings were music to the ears of Indian cricket supporters, seeing the player of the series and India’s pillar throughout the entirety of the series. Pujara moves up another spot to make it to the third position in the charts for test batsmen. His eye-catching 193 in the first innings of the fourth test saw him accumulate a staggering 521 runs at 74.43 in the series and place him rightfully in the top 3 of the world’s best batsmen. Wicket-keeper batsman was the other big mover in the rankings for batsmen, jumping as many as 21 places to make his way to the 17th spot. Pant had scored a total of 350 runs in the series while taking 20 catches as well. Meanwhile, Indian captain Virat Kohli stayed on top of the pile with a total of 922 points, well ahead of Kane Williamson his closest adversary who is currently placed on 897 career points. India travels to New Zealand following their ODI series against Australia but the series will see no test matches being played. The most refreshing thing to see in the recently concluded series was India’s might with the ball with the likes of JaspritBumrah and Mohammed Shami all playing their part in scripting a golden chapter in India’s cricketing books. Bumrah reinforced his 16th spot credit to his 21 wickets in the four test matches while Shami gained a place to move up to 22. Spinner Kuldeep Yadav’s 5 wickets in the final test took him to the 45th position. Another Indian player who was richly rewarded for his stellar showing in the test series was all-rounder RavindraJadeja, Shining with both, the bat and ball, Jadeja’s crucial contributions to India’s winning cause was recognised by the ICC who is now the second-ranked all-rounder in test cricket. He moved up 6 places in the batting list to find himself on 57th and is 5th in the rank for bowlers. India also consolidated their status as the number one ranked test side in the world, staying on top of the charts ahead of a six month period that will see no international test cricket owing to the ICC ODI World Cup. There was no change in the rankings for countries with Australia the only country to lose a point but still managed to retain their 5th spot. Henry Nicholls (New Zealand) – 763*! For more articles like ICC Test Cricket India Rankings, do Subscribe to our newsletter and follow us on Facebook, Twitter and Google+..